Mayo GAA Gaelic Football Shirt. Size Youths 11-12 Years. 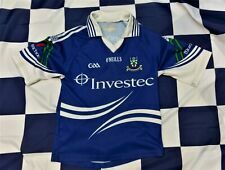 Monaghan GAA Gaelic Football Shirt. Size Youths 7-8 Years. See Pictures 4 to 8 for Defects. EXPAND-A- LUNG® - THE #1 BREATHING FITNESS EXERCISER FOR SUPERIOR ENDURANCE . GAA Ard Mhacha Jersey Shirt Boys 5-6 Hurling Gaelic Ireland O'Neills Armagh. Nice Orange Shirt with Black & White Highlights. All Logos are incorporated into the material of the shirt. Shirt has been worn and washed. Cork Crest is Embroidered into the shirt. Nice Red Shirt with White Highlights. Shirt has been worn and washed. Armpit to Armpit: 22". Height: 30". 100% Polyester. 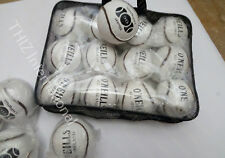 FIRST TOUCH SLIOTAR GAA HURLING BALL NEW SLIOTAR GAELIC SPORTS. 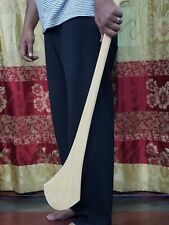 GAA HURLING BALL. Fast & Friendly Service. Nice Orange Shirt with Black & White Highlights. Logos on the front are felted patches, Heat applied to the shirt. Logos on the arms are incorporated into the material of the shirt. Shirt has been worn and washed. First Touch footballs are perfect for U8 players as they develop the basic skills of Gaelic. First, touch football. O Neill's 1916 centenary commemorative jersey all sizes available. Screen Printed In Bold Clear Colours. Size: 5 x 3 FT ( 150cm x 90cm). GAA Tyrone Tir Eoghain Jersey Shirt Boys 9-10. Nice Purple Shirt with Gold & White Highlights. Logos are incorporated into the material of the shirt. Shirt has been worn and washed. Armpit to Armpit: 17.5"Height: 25". CAVAN OFFICIAL GAA FLAG 5 X 3 FT. Screen Printed In Bold Clear Colours. Size: 5 x 3 FT ( 150cm x 90cm). Double Stitched Hem Around The Edge. DONEGAL OFFICIAL GAA FLAG 5 X 3 FT. Screen Printed In Bold Clear Colours. Size: 5 x 3 FT ( 150cm x 90cm). Double Stitched Hem Around The Edge. International Sliotars. PU Made Hurling wall balls. Then a quality sliothar is a great choice! Suitable for all weather conditions, this high-quality sliothar is a great souvenir or present for sports-minded individuals. Especially popular with children, sliothars can provide countless hours of fun! Derry GAA Gaelic Football Jersey. The White on Shirt has Blackened Through Wash (see pics. Official O'Neills. ). Armagh GAA, gaelic Away football Jersey by O'Neills. Condition - good 8/10. Mayo GAA Gaelic Football Polo Shirt. Antrim GAA Hurling / Gaelic Football Shirt. Size Youths 3-4 Years. 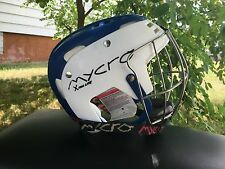 In Good Condition (Needs Hot Wash) see pics. CARLOW OFFICIAL GAA FLAG 5 X 3 FT. Screen Printed In Bold Clear Colours. Size: 5 x 3 FT ( 150cm x 90cm). Double Stitched Hem Around The Edge. DUBLIN OFFICIAL GAA FLAG 5 X 3 FT. Screen Printed In Bold Clear Colours. Size: 5 x 3 FT ( 150cm x 90cm). Double Stitched Hem Around The Edge. DERRY OFFICIAL GAA FLAG 5 X 3 FT. Screen Printed In Bold Clear Colours. Size: 5 x 3 FT ( 150cm x 90cm). Double Stitched Hem Around The Edge. LONGFORD OFFICIAL GAA FLAG 5 X 3 FT. Screen Printed In Bold Clear Colours. Size: 5 x 3 FT ( 150cm x 90cm). It has to be the great 1968 Tipperary hurling team. The 1960's, what a decade for Tipperary hurling! Truly the 1960s was a golden decade for the Tipperary hurling team. An amazing decade producing such legends as the one and only. LEITRIM OFFICIAL GAA FLAG 5 X 3 FT. Screen Printed In Bold Clear Colours. Size: 5 x 3 FT ( 150cm x 90cm). TYRONE OFFICIAL GAA FLAG 5 X 3 FT. Screen Printed In Bold Clear Colours. Size: 5 x 3 FT ( 150cm x 90cm). MONAGHAN OFFICIAL GAA FLAG 5 X 3 FT. Screen Printed In Bold Clear Colours. Size: 5 x 3 FT ( 150cm x 90cm). AMAGH OFFICIAL GAA FLAG 5 X 3 FT. Screen Printed In Bold Clear Colours. Size: 5 x 3 FT ( 150cm x 90cm). Double Stitched Hem Around The Edge. GALWAY OFFICIAL GAA FLAG 5 X 3 FT. Screen Printed In Bold Clear Colours. Size: 5 x 3 FT ( 150cm x 90cm). Double Stitched Hem Around The Edge. Gaelic Athletic Association (GAA). Cusack was. founded the GAA. (20 September 1847 - 27 November 1906), an Irish teacher and founder of the. He is widely considered the man who saved Irish sports. Faithful Reproduction of Original Print. Carlow GAA Gaelic Football Jersey. Otherwise in Wearable Condition. The Cavan V. Kerry All-Ireland Football Final is played in the Polo Grounds, New York. GAA All Ireland Final between Cavan and Kerry at the Polo Grounds, New York in 1947. Final score line: Cavan 2-11 Kerry 2-7. Wicklow GAA Gaelic Football Jersey. Size Adult Small. Ideal for D.I.Y. or Construction. Paint Markings on Lower Front & Sleeve (see pictures 5 & 6). County Clare GAA Hurling Jersey. Official O'Neills. Yellow Has Darkened Through Wash so is a Smokey Yellow (see pics. Size Adult Large. ). The year is 1947, the place is the Polo Grounds In New York City, and its Cavan up against Kerry. The stout-hearted footballers from Cavan rose to the task after struggling. with a Final score of Cavan 2-11 Kerry 2-7. Mayo GAA Gaelic Football Shirt. Size Adult Large. In Good Condition. Uibh Fhaili. Rozmiar: XL. długość: 77 cm. szerokość: 57 cm.